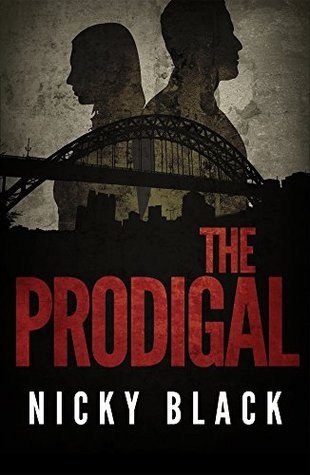 I came across The Prodigal by chance after following Nicky Black on Twitter. I decided to read it because it was getting good reviews and it sounded like something I would enjoy, which I did. Nicky Black is actually two people. Their bio says they are friends Nicky and Julie and that Julie originally wrote The Prodigal as a TV script over a decade ago before Nicky turned the script into a novel because the show was never made. It’s a good thing she did because it’s a good story with interesting characters. Lee and Nicola are strong personalities with a lot to lose as they begin to fall in love. For Nicola it might be her life given she’s married to a local gangster, Micky. For Lee, his job as he takes greater and greater risks to try and be with Nicola. Lee’s teenage daughter, who he’s never met, and his relationship with her mother, his former girlfriend, give the story another angle and show another side to Lee’s personality. He is a good guy trying to do the right thing. And trying not to get annoyed with his fairly useless colleagues and the constraints of the system he’s working in. I thought his colleagues could have been a little more fleshed out – they felt a little stereotypical – but that all the other characters were well drawn and so was Newcastle in 1999, a city that was changing but where there were still haves and have nots. I could see this as a TV show and maybe it will end up on Telly after all as a result of this book. I hope so because it’s a good one. I liked it a lot and a recommended read. Oh, thanks for flagging this one as it sounds like one I’d like! It’s interesting isn’t it, that there are a few authors who write in partnerships! Welcome. It is. I suppose writing is a fairly solitary task – though people do it for TV all the time.